Every sample is different in terms of purity and structural and compositional complexity. The MS detection sensitivity of a routine analysis is in a range of 0.1 to 10 pmol of protein. Some peptides ionize and/or fragment more efficiently and will produce good spectra at 0.1 pmol per injection while other peptides may be completely ‘invisible’ even at 100 pmol per injection. 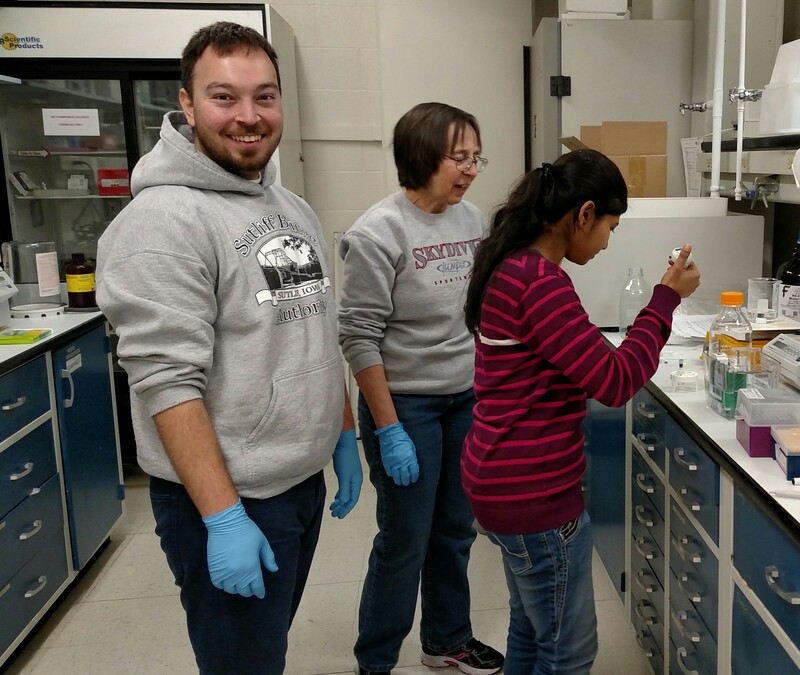 Keep in mind that it is always easier and faster to dilute a sample than to concentrate it. 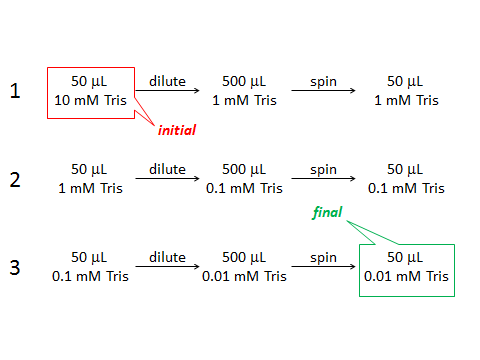 For routine analyses, a 1-microliter injection is usually made unless the protein concentration is known and requires a larger-volume injection. The injection volume cannot exceed 6 microliters. For simple mixtures (in-solution digested purified or enriched proteins and in-gel digested protein bands), 3 to 10 microliters of sample must be submitted because smaller volumes tend to dry out. This is only true of expertly prepared samples that do not require purification and/or filtration. If you are planning to analyze a complex mixture, please contact Tatiana. 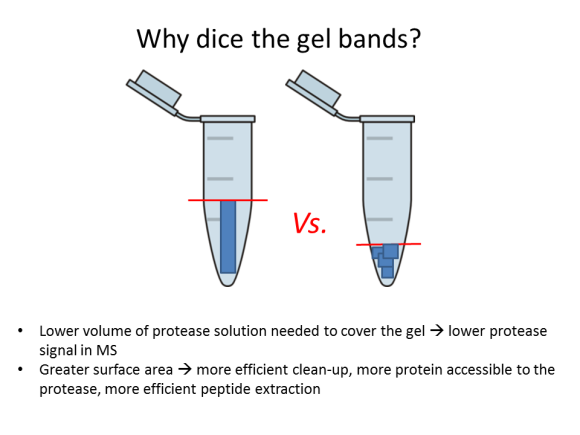 This entry was posted in Sample preparation questions and tagged protein identification, sample amount, sample concentration, sample volume, submitting samples on January 31, 2014 by Tania.